It's a bird; It's a plane; it's the DC Superhero Logos Wall Decals from RoomMates! Create a space that displays your passion for DC Comics superheroes. 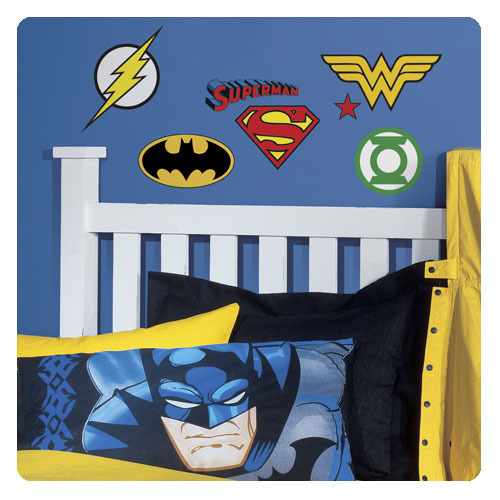 Great for superhero fans of all ages, remove and reposition each wall stickers as much as needed without damaging the surface. To apply, simply peel and stick. Decals range in size from 2 3/4-inches wide x 2 1/2-inches tall to 11-inches tall x 8 1/2-inches wide. Ages 13 and up.